Silicon Valley has been roiled again by claims of sexism and the harassment of women. 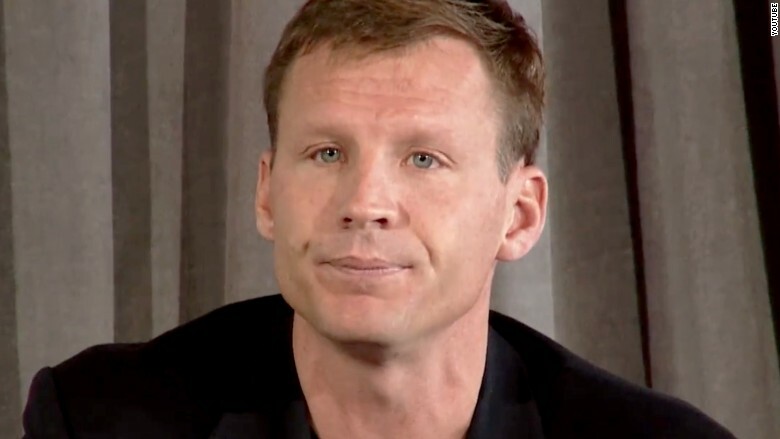 On Friday, venture capital investor Justin Caldbeck said he was taking an indefinite leave of absence from his firm after he was accused of sexually harassing women who work in tech. "The gap of influence between male venture capitalists and female entrepreneurs is frightening and I hate that my behavior played a role in perpetrating a gender-hostile environment," Caldbeck wrote in a statement released by Binary Capital, the firm he cofounded in 2014. Reed Albergotti of tech news site The Information reported on Thursday that six female founders had come forward with stories about unwanted advances by Caldbeck. Their claims included groping and late-night texts. Caldbeck, 40, was quoted in the story strongly denying the claims, calling them "attacks on my character." Binary Capital was also quoted saying the allegations were false. "There is no evidence that Justin did anything illegal," the firm said. But in his statement Friday, Caldbeck said he was deeply ashamed of his lack of self-awareness. He thanked the women who spoke out for making him take a "sobering look into my own character and behavior that I can no longer ignore." Caldbeck wrote that the past "24 hours have been the darkest of my life," and said he'll seek professional counseling. He was previously a managing director at Lightspeed Venture Partners, and a partner at Bain Capital Ventures. Caldbeck led investments for Binary Capital in Grubhub (GRUB), Stitchfix, TaskRabbit and other startups. Justin Caldbeck wrote Friday that the past "24 hours have been the darkest of my life." Two of the women named in The Information article, in a statement to CNN Tech, said they were pleased that Caldbeck had apologized and thanked people who had supported them. "We need men to be just as engaged in calling out the problem if we want to see real change," said the two women, Susan Ho and Leiti Hsu. They are cofounders of Journy, a travel startup. "At this point, we're happy to go back to focusing on running our company." Caldbeck's statement came amid mounting outrage among Silicon Valley executives and investors. LinkedIn founder Reid Hoffman wrote a strongly-worded post on Friday about the allegations and broader problems of sexism in Silicon Valley. "This is entirely immoral and outrageous behavior. And it falls to us to stand with you, to speak out, and to act," said Hoffman, who is a member of Microsoft (MSFT) board of directors. "We all need to solve this problem," he wrote. "If you stay silent, if you don't act, then you allow this problem to perpetuate." A former colleague of Caldbeck's, Bain Capital partner Ajay Agarwal, posted a series of tweets Friday. "We must all take ownership for pushing for positive changes," Agarwal wrote, adding that he didn't witness any harassment from Caldbeck. The Information's report comes on the heels of workplace culture problems at Uber, which resulted in the resignation this week of founder and CEO Travis Kalanick. A former Uber engineer, Susan Fowler, wrote a blog post earlier this year about what she called widespread harassment and sexism at Uber. Fowler's post spurred an internal investigation at the company that resulted in the termination of 20 employees. Fowler is only the latest woman to come forward. Ellen Pao sued her former employer, prominent venture capital firm Kleiner Perkins, over gender discrimination in 2012. She lost her court case in 2015 but has been cited for breaking the silence on bad behavior in Silicon Valley. She continues to be a vocal advocate for women in tech. "VCs need to get it together already," Pao tweeted on Thursday. In his blog post Friday, Hoffman noted the situation at Uber, writing that tech companies are "receiving some very good criticism on fairness and decency on gender." "This criticism is important. I welcome it," he wrote. "We should all welcome it, and of course, remedy it." --CNNTech's Seth Fiegerman contributed to this report.